Nadia Moeller of Nutrishop South Austin sought a loyalty program that was simple for cashiers and customers. Seamless integration with AppCard and their POS, Lightspeed Retail, makes rewarding customers quick and easy. Nadi Moeller, Director of Business Development for Nutrishop and owner of their Austin TX location, knew that she needed a way to reward her valued customers for their business and keep them coming back. After using a different solution for some time, Moeller knew that she needed a solution that would scale and provide a better experience for her customers, and also provide better insight into customer preferences and buying behavior. Moeller realized that a digital rewards platform would give her the ability to close the loop on her rewards marketing efforts. 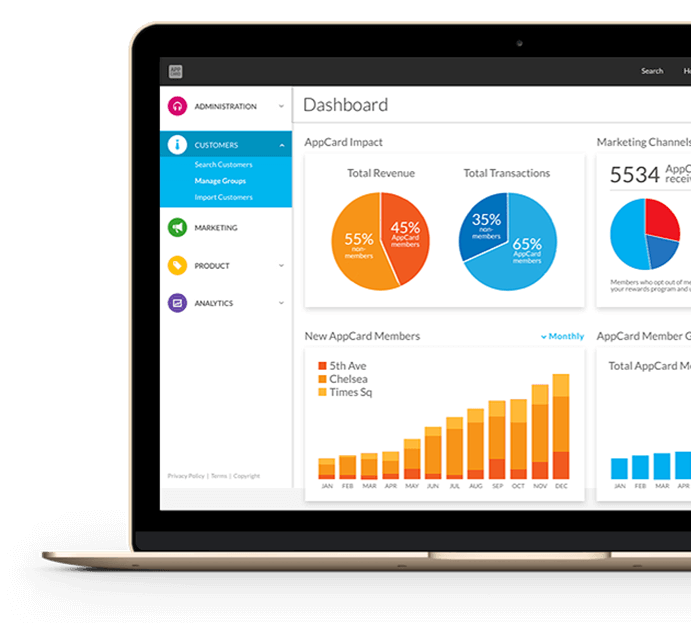 “What I loved about AppCard was the fact that it was fully customizable, and that I saw so many opportunities in AppCard for growth,” says Moeller. After capturing customer identities along with SKU-level purchase information with their AppCard rewards program, Nutrishop is able to target customers with personalized offers via email, sms, and push notifications.